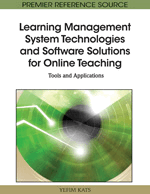 In this chapter the author discuss the introduction of an e-learning system to enhance teaching and learning at a university. The focus is on the decision process choosing a system. Abstract criteria and feature lists are not sufficient for choosing the right e-learning software, even if all stakeholders and their respective requirements are heard. The author argues that “soft” factors should be considered when evaluating e-learning software: (1) The age of the students and their level of education, (2) the pedagogical guidelines and the culture of teaching and learning of the university, and (3) the educational scenarios in lectures and seminars. These factors seem to be only small details and are typically neither mentioned in the requirements nor in the feature lists of e-learning software. Therefore the author proposes that institutions should evaluate prospective systems in real-world scenarios. As a case in point, the author will outline a number of significant differences between two e-learning systems with a focus on pedagogical aspects. The systems can be seen as representative for a certain class of systems; both offer all features that are commonly seen as the most relevant when making a decision for a university e-learning system. In this section, we will define a framework of reference to locate this chapter and give practical definitions of the terms used in this chapter. We have already used the term “e-learning” a few times in the introduction of this chapter, but we have not yet given a definition for it. There are thousands of publications in the field (see Conole & Oliver (2007) for a good overview) published in journals3, at conferences like IADIS International Conference E-Learning (http://www.elearning-conf.org) or in books like this one. However, we have to state that there is no single definition universally accepted by the community.4 We find definitions emphasizing the learning process, defining e-learning as the “process of learning which is supported by the use of ICT (e.g., the Internet, network, standalone computer, interactive whiteboard or portable device)” (JISC, 2006), as well as definitions focusing on the techniques used for learning, defining e-learning as the “use of new multimedia technologies and the Internet to improve the quality of learning by facilitating access to resources and services as well as remote exchanges and collaboration.”5 For this chapter we will rely on the definition given by Piotrowski, who defines e-learning as “a general term describing all kinds of computer-mediated and computer-supported learning and teaching” (Piotrowski, 2009, p. 35). The software used for this support has to offer functionalities for creation, organization, delivery, communication, collaboration, and assessment (Piotrowski, 2009). There are dozens of systems suitable or even explicitly designed for very specific purposes. Here we will use the terms “e-learning software” or “e-learning system” to cover software variously called MLE (managed learning environment), VLE (virtual learning environment), LMS (learning management system), LCMS (learning content management system), CMS (course management system), TELE (technology enhanced learning environments), or LSS (learning support system).